Damien Delaney: "The chance to play European football at Turner's Cross was a big box ticked for me." Delaney started his career with his hometown club in the late 90s and went on to have a long and established career in England, most notably with Crystal Palace, where he spent six years, winning promotion to the Premier League via the play-offs in 2013. He was capped nine times with the Republic of Ireland and returned to Cork last June. The 37-year-old could not help John Caulfield's men to silverware, finishing second in the league behind Dundalk and losing the FAI Cup final against the Lilywhites. That proved to be his final game for the club. 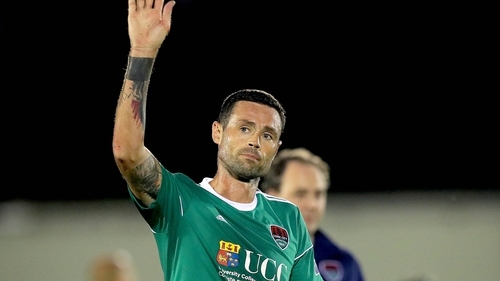 "I would like to thank everyone associated with Cork City for helping me to fulfil my long-held ambition to come back and play for the club again," he said. "John Caulfield gave me that opportunity, and I am eternally grateful to him, his staff and my team-mates. The chance to play European football at Turner’s Cross was a big box ticked for me, and I am delighted to have had that opportunity. "I would like to wish John, his staff and the team the very best of luck for the future."